Bahrain is set to issue tenders next week for consultancy services to manage the transition phase of the $4-billion King Hamad Causeway, a 25-km-long strategic artery linking the kingdom with Saudi Arabia. 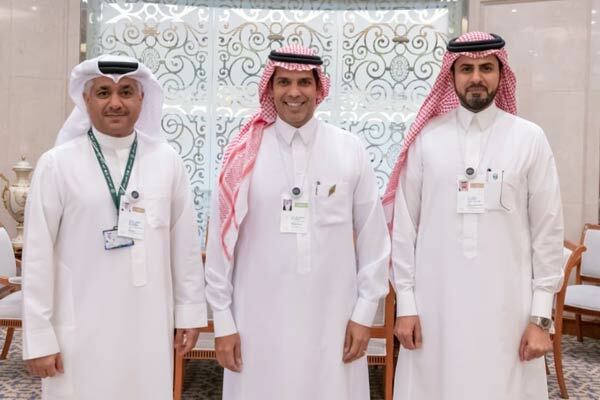 This was jointly announced by Saudi Arabia’s Minister of Transport Nabil bin Mohammed Al Amudi, and Bahrain’s Minister of Transportation and Telecommunications Kamal bin Ahmed Mohammed on the sidelines of the Future Investment Initiative (FII), held in Riyadh under the patronage of Saudi King Salman bin Abdulaziz Al Saud. The new causeway, which is set to run parallel to the existing King Fahad Causeway, will carry passenger trains, freight trains and vehicles, reported BNA. The project will extend 75 km in both countries, including the 25-km span of the King Hamad Causeway over the sea waters. The main construction work will be tendered by the end of 2020, said a report. The causeway, which will be part of the proposed GCC Railway, will ease traffic pressure on the existing causeway and boost trade exchanges, stated the report. Al Amudi lauded the vital role played by the leaderships of both countries in initiating both the King Hamad Causeway and associated railway projects. The minister added that the projects will be implemented in partnership with the private sector in accordance with the directives of both countries, stated the BNA report. Confiming the news, Kamal Mohammed said the tender will be issued next week by the King Fahd Causeway Authority. "The preliminary economic feasibility study and the initial design phase has already been completed, thus laying the foundations for the implementation phase," he noted. Ahmed bin Abdulaziz Al Hakbani, governor of the General Customs Authority and chairman of King Fahad Causeway Authority Board expressed his pride to be a part of the new King Hamad Causeway project. He said the authority was co-ordinating closely with the Saudi and Bahraini transportation ministries to ensure the success of the project. The project represents a new phase in the longstanding bilateral relationship and demonstrates both countries’ commitment to the GCC strategy to strengthen collaboration through the introduction of new and innovative projects, with examples including the GCC common market and the GCC customs union, he added.